Slickdeals News & Articles News Is Amazon Family Worth The Cost of Prime Membership? We took a closer look at Amazon's family-focused program to find out what it's all about and whether it can really save you money. Between Amazon Prime, Subscribe & Save, Amazon Allowance, and now Amazon Fresh, it feels like the e-commerce giant is pushing one new loyalty program after another. While making the jump to the $119 Prime membership has been well worth it for our family (the free two-day shipping and access to Prime Video had us sold), not every program is as appealing. But one potential money (and time) saver is Amazon Family (formerly known as Amazon Mom). Any opportunity to save and cut down on trips to the store with kids in tow is definitely something worth checking out. Best of all, it's free for Prime members. So what is Amazon Family all about? 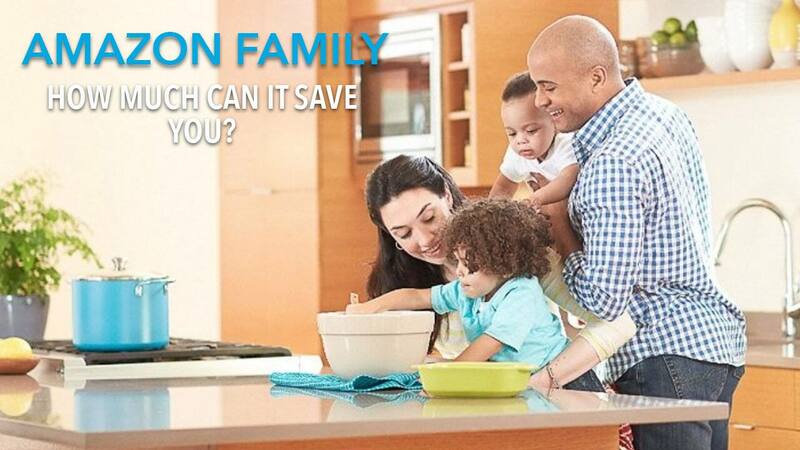 We decided to take a closer look to find out if its worth it for you and your family. For a more thorough breakdown of one of Amazon's other child-oriented services, Amazon FreeTime Unlimited, check out our review here. How Much Does it Cost to Join Amazon Family? Amazon Family costs nothing to join, but you need an Amazon Prime membership to qualify. If you don't have a membership, you can sign up for $119 annually or $12.99 per monthly. Once you do, enrolling in this program opens the door to exclusive offers and coupons specifically geared toward families. 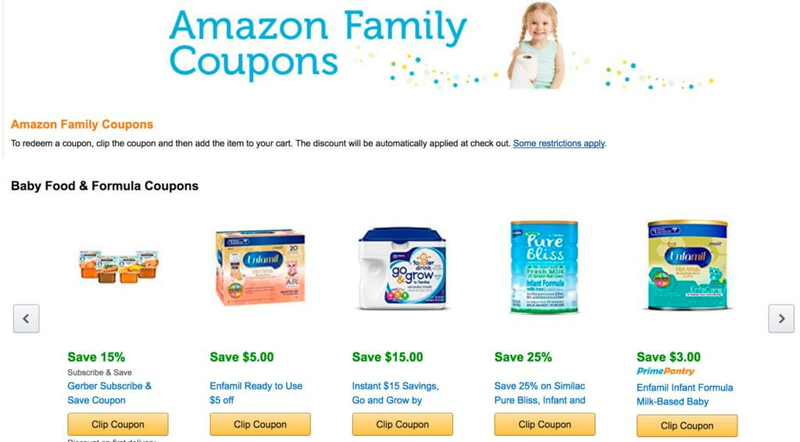 Amazon Family touts 20% off on diaper subscriptions as one of its biggest selling points. If you've got a baby at home, we don't have to tell you that is huge. But is an Amazon diaper subscription worth it? The answer really depends on whether you're ready to fully commit to using subscription services for many of your daily needs. You see, to get that 20% off, you need to have five subscriptions arrive on the same day to the same address. Additionally, this deal isn't even exclusive to Amazon Family. Any Prime member can take advantage of the discount. However, Amazon Family does offer additional savings through coupons on categories like baby food, clothing, toys and games, books, groceries, and more. The program also allows you to create individual profiles for each of your kids, which help create age-appropriate offers and suggestions designed just for you and your family. Are Amazon Family's Exclusive Offers Worth It? After hearing that Amazon Family boasts "exclusive" family-centric offers, I was curious about what that actually meant. A quick scroll through the deals revealed some pretty solid savings. There were Amazon offers like 15% off select Gerber items, 25% off Finish Gelpacs Dishwasher Detergent, and $10 off a popular Fisher-Price baby swing. Throw in the free two-day shipping, and these products were definitely deal-worthy. However, upon further inspection, some of the deals weren't exactly exclusive. For example, I looked up the Fisher-Price swing on my iPhone, which wasn't logged into my Amazon account. The $10 off still applied, even to non-Prime members. It looked like it was simply the current marked-down price, which the Amazon Family deal page was promoting as a perk. This seemed to be the case for most of the items marked "Save $(dollar amount)." Items marked with a percentage off, however, did actually seem to be exclusive to Prime members shopping through the Amazon Family portal. But, with the change in requirements for 20% off diapers and the shrinking number of real "deals" in the coupon section, Amazon Family seems to have become less of a necessity. Still, there are some bonuses for expecting and new parents that might be worth checking out. Prime members who create a baby registry are eligible for a 15% registry completion discount through Amazon Family. What's more, you can also snag a complimentary Welcome Box brimming with free samples and parenting products from Amazon. Other incentives to register include exclusive discounts on maternity clothes, prenatal vitamins, parenting books, beauty products, and more. These perks hold their own when compared to popular competitors. If you're a regular Target shopper, their program also offers a 15% registry completion discount and a free goodie basket (consisting of free samples and $50 in coupons) upon registering. One potential downside of Target, however, is that their selection of items is reputed to be a bit limited. Is Amazon Family Worth the Cost of Prime? Amazon definitely uses its Prime benefits to hook people into the Family program — not that there's anything wrong with that. Prime membership makes sense for a lot of consumers. Free two-day shipping along with access to the Prime Music library, Prime Video, Whole Foods benefits, and more all come with that $119 per year price tag, regardless of whether or not you have children. If you're already a Prime member and do a lot of Amazon online shopping, this program could be an easy way to lower your household's monthly spending. If you're not a Prime member, Amazon Family all on its own isn't a big enough draw to justify the cost of a Prime membership, but all those other Prime benefits can definitely make up for what Family lacks. For expecting parents creating a registry, Amazon Family may also be the best solution for early discounts when you need them the most. Plus, the service offers up relevant coupons as your child grows older, and caters content for them if you opt in to Amazon FreeTime Unlimited. It's definitely not a bad deal if you're already an Amazon Prime family. Have you tried out this service, and if so, have you scored any notable deals? Let us know in the comments.